Do we need an outsider president? 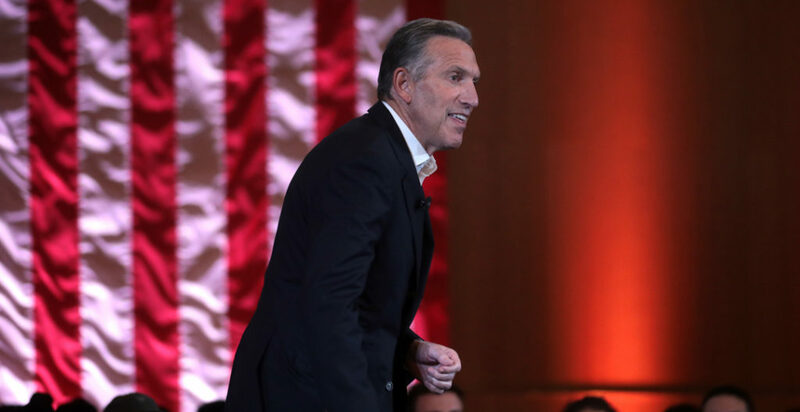 Former Starbucks CEO Howard Schultz drew the ire of many this week as he mulled the possibility of a presidential run. Last election brought a wave of anti-establishment sentiment as political newcomer Donald Trump took on Secretary of State Hillary Clinton, who many saw as an untrustworthy career politician. Ever since Trump’s victory, we’ve seen several nonpoliticians — Oprah and Mark Zuckerberg being two egregious examples — discuss potential presidential runs. But does success in business translate well, if at all, to success in the country’s highest political office? A key flaw in anti-establishment thinking is its extreme simplification of the political process. Getting things done in our government is much more convoluted than simply signing pieces of paper; there are hundreds of factors, both foreign and domestic, that go into each and every decision made by our president, and unless you’ve been around the block you probably have little idea how to realistically implement the policies that you campaigned on. This is doubly true when it comes to the matter of foreign affairs. No matter how many cups of coffee you’ve sold, you can’t expect to put on the president’s shoes and instantly tapdance across the geopolitical stage. Political experience goes a long way in ensuring both confidence and clout in navigating foreign policy. It would be dangerous to disqualify nonpoliticans outright; however, if someone with a good leadership record is willing to surround him or herself with experienced people and step up to the plate in a way that Trump has not, we should give them the chance they deserve. But ultimately it is up to us, the voters, to make an informed decision as to what qualifies a candidate.